It is often said that art feeds the soul. But culture and the arts also fuel the economy directly: The arts contribute more than $800 billion a year to U.S. economic output, amounting to more than 4 percent of GDP. As we see to our souls, we might spare a pining thought for Petrarch (Francesco Petrarca); it was on this date in 1327, after he’d given up his vocation as a priest, that he first set eyes on “Laura” in the church of Sainte-Claire d’Avignon– an encounter that awoke in him a passion that spawned the 366 poems in Il Canzoniere (“Song Book”). 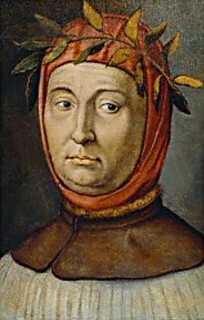 Considered by many to have been “the Father of Humanism,” and reputed to have coined the term “Renaissance,” Petrarch was most famous in his time for his paeans to his idealized lover (who was, many scholars believe, Laura de Noves, the wife of Hugues de Sade). But Petrarch’s more fundamental and lasting contribution to culture came via Pietro Bembo who created the model for the modern Italian language in the 16th century largely based on the works of Petrarch (and to a lesser degree, those of Dante and Boccaccio). 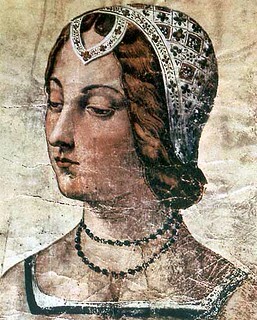 Laura de Noves died on this date in 1348. You’ve probably heard of the wisdom of crowds. The general idea, popularized by James Surowiecki’s book, is that a large group of non-experts can solve problems collectively better than a single expert. As you can imagine, there are a lot of subtleties and complexities to this idea. Nicky Case helps you understand with a game. As we contemplate connection, we might compose a birthday rhyme for Torquato Tasso, the 16th Century Italian poet; he was born on this date in 1544. Tasso was a giant in his own time– he died in 1595, a few days before the Pope was to crown him “King of the Poets”– but had fallen out the core of the Western Canon by the end of the 19th century. Still, he resonates in the poems (Spencer, Milton, Byron), plays (Goethe), madrigals (Monteverdi), operas (Lully, Vivaldi, Handel, Haydn, Rossini, Dvorak) , and art work (Tintoretto, the Carracci, Guercino, Pietro da Cortona, Domenichino, Van Dyck, Poussin, Claude Lorrain, Tiepolo, Fragonard, Delacroix) that his life and work inspired. As we match content to form, we might send craftily-constructed birthday greetings to Ross Thomas; he was born on this date in 1928. A thriller writer considered by many to be America’s answer to Len Deighton or John Le Carre– only funnier– he wrote The Cold War Swap, his first novel, in six weeks– and won the 1967 Edgar Award for Best First Novel. He went on to write 19 other novels under his own name and 5 as “Oliver Bleeck.” His 1984 novel, Briarpatch, won the Edgar for Best Novel. 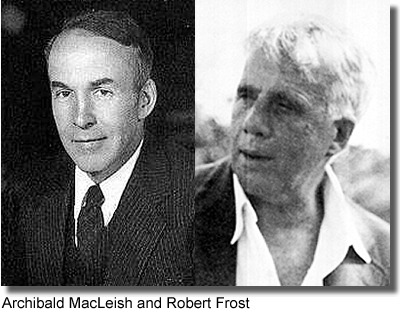 In 2002, he was awarded the Gumshoe Lifetime Achievement Award— with Ed McBain, one of only two posthumous recipients. In the late 18th and early 19th centuries, people worried about the difficulty in measuring the line between life and death. Fearful that loved ones would be buried alive, people attached strings and bells to a finger of a person who appeared dead, so that they could detect any movement and commence or continue resuscitation. As we take our pulses, we might spare a thought for Sir Richard Blackmore; he died on this date in 1729. A physician of note, he argued that observation and the physician’s experience should take precedence over any Aristotelian ideals or hypothetical laws, and he rejected Galen’s humour theory. He wrote on plague, smallpox, and consumption. But he is best remembered for his passion, poetry. A supporter of the Glorious Revolution, he wrote Prince Arthur, an Heroick Poem in X Books, a celebration of William III. Later he authored Blackmore produced The Nature of Man, a physiological/theological poem on climate and character (featuring the English climate as the best), and Creation: A Philosophical Poem. Patriotism raises questions of the sort philosophers characteristically discuss: How is patriotism to be defined? How is it related to similar attitudes, such as nationalism? What is its moral standing: is it morally valuable or perhaps even mandatory, or is it rather a stance we should avoid? Yet until a few decades ago, philosophers used to show next to no interest in the subject. The article on patriotism in the Historical Dictionary of Philosophy, reviewing the use of the term from the 16th century to our own times, gives numerous references, but they are mostly to authors who were not philosophers. Moreover, of the few well known philosophers cited, only one, J. G. Fichte, gave the subject more than a passing reference – and most of what Fichte had to say actually pertains to nationalism, rather than patriotism (see Busch and Dierse 1989). On this day of national celebration, the Stanford Encyclopedia of Philosophy entry on Patriotism (a little wonky, but eminently worthy of reading in full). For other important (and more vernacular) takes: W. Kamau Bell, ESPN’s Scoop Jackson… and “Big patriotism is poisoning America,” the article from which the image above was sourced. As we astutely allocate allegiance, we might recall that it was on this date in 1855 that Walt Whitman anonymously self-published the first edition of Leaves of Grass (it carried his picture but not his name). Whitman employed a new verse form, one with which he had been experimenting, revolutionary at the time– one free of a regular rhythm or rhyme scheme, that has come to be known as “free verse.” The content of Leaves of Grass was every bit as revolutionary, celebrating the human body and the common man. Whitman spent the rest of his life revising and enlarging Leaves of Grass; the ninth edition appeared in 1892, the year of his death.